What are you thankful for in the publishing/writing world? So I’ve decided it’s time to thank the subject of this blog for a few things. 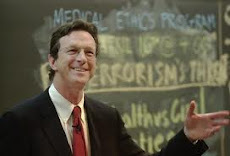 Thank you, Michael Crichton, for all you’ve given me and all your readers. Thank you for the intellectual stimulation I’ve gotten from your books over the years. Thank you for challenging and expanding my thinking and that of others. Thank you for leaving us a new book Pirate Latitudes. Thank you for the wonderful friends I made on your message board, and the new friends I continue to make because of this blog. I owe you so much. And this blog is my way of thanking you for everything.